Industry 4.0, smart production, digitalization – no matter how we call it, eventually it is always about seamless connection of the digital and the real world. Digitally connected processes in the industry 4.0 enable the products to be manufactured more flexibly, energy efficiently, individually and cheaply. This also results in totally new possibilities in the field of machine tool. However, the basic principle of cutting machines can hardly be changed due to the physical limits. 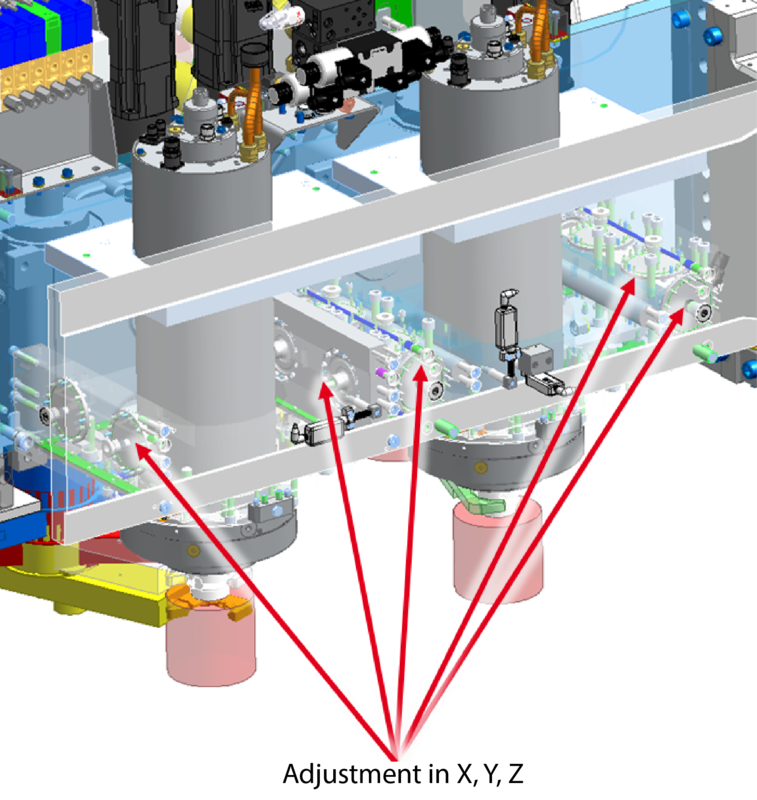 The focus is on the integrated view of the automated production cell. ANGER MACHINING has identified the major challenges for the cost-effective operation of these cells (robot, machine tool, storage): cost-effective production of a variety of series – the typical challenges of many OEMs, T1, T2, and SME factories dealing with the machining of the serial parts. In many cases, changeover processes during the workpiece changing are very tiresome and cost-intensive. Due to lack of specialists, the necessary expertise is missing. ANGER MACHINING has developed a solution that opens new possibilities for different workpieces with a lot sizes from 10,000 pieces. With ANGER 2PLUS, a new system concept was introduced to the market, which allows considerably greater variability. It not only allows the flexible production of smaller batches but also the production in chaotic workpiece sequence, with minimum changeover time and without any intervention of a person. The intelligent system uses all the information about the process: the workpieces are tracked via QR-Code and tool and clamping data are transmitted by RFID chips. 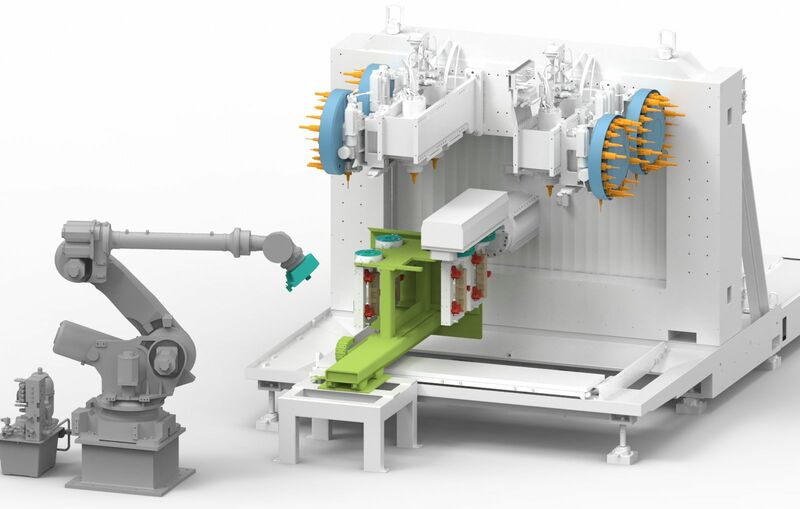 The robot, which takes over the handling, has the same standardized interface as the processing machine. It takes up the clamping device, takes the raw part, and hands it over to the loading shuttle of the machine in the clamped state. The system works fully automated and adapts the data corresponding to the entire process of the next components to the master computer system. Depending on the component type to be manufactured, the right clamping devices, tools, and even the machining spindles of the two component nests in the cutting machine are adapted thanks to automatic micro fine-adjustment. The ANGER MACHINING solutions achieve an extremely low chip-to-chip time of about one second between the processing steps. Such record-breaking values reduce downtime to minimum. In combination with a continuous networked process, high profitability is achieved with full flexibility.